Eating chocolate is an indulgent splurge for many, with some studies suggesting that it contains antioxidants and may lower cholesterol and boost memory. But, for those with dietary restrictions and health concerns about sugar consumption, sugar-free chocolates may be their only option. After many years of dominating the category, changing consumer preferences and me-too offerings put a dent in Russell Stover’s sales. They called on brand strategy firm, Retail Voodoo, to help reverse the slide. “Our research uncovered the fact that many of these consumers felt that sugar-free brands were offering them the equivalent of a booby prize, so we needed to change perceptions about quality and taste,” says David Lemley, Founder/Chief Strategist, Retail Voodoo (and a 2019 GDUSA Person To Watch.) Reviewing the ingredient panel, they suggested replacing Sucralose with Stevia, a plant-based, natural sweetener. Doubling down on their identity as an American chocolate brand with a leading sugar-free portfolio, they reimagined the line through the lens of: “Everyone Deserves Chocolate,” focusing on taste and childhood memories of chocolate. Increasing appetite appeal became the focus of the package redesign. 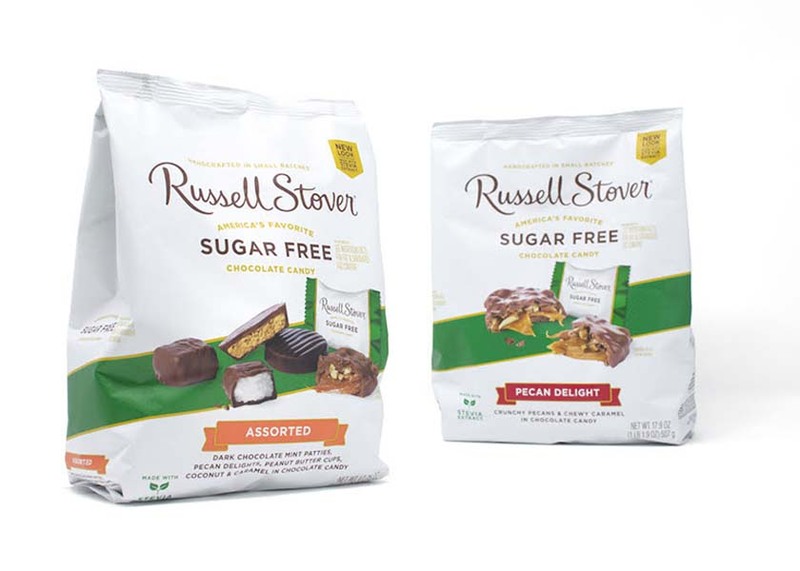 Prominent product photography pays homage to Russell Stover’s small batch, hand-made heritage, providing a look of craftsmanship and quality not previously associated with sugar-free. The new design system follows the overall master brand with color and typography, but with a clean, white background and a simple ribbon to draw the distinction between the core line and sugar-free. Over 35 products in the line have been redesigned.